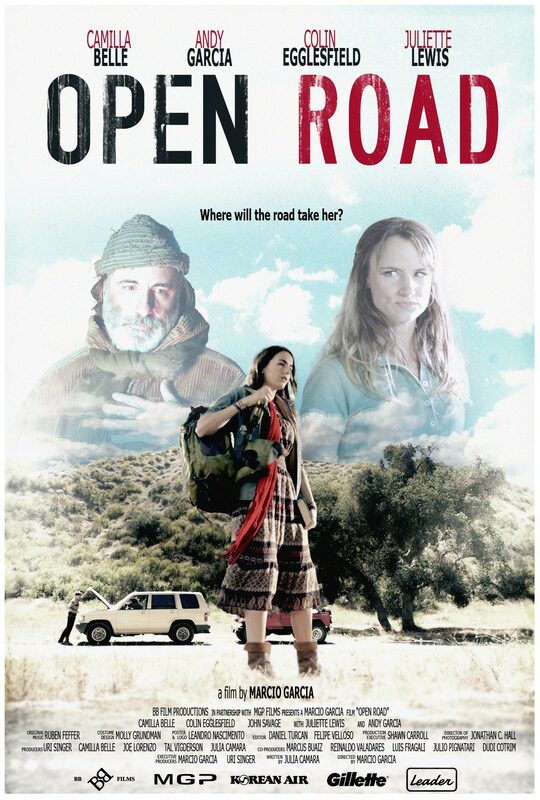 Open Road is a 2012 film, directed by Brazilian Marcio Garcia, also known by his work as an actor, producer and director in his country. It tells the story of Angie, a young artist that goes by the roads of the United States without take roots in any place, in her nomadic life she meets David a police officer who gives her his friendship and a reason to reconsider her wandering life, the problem is that Angie has been looking for someone for a long time and doesn’t want to stick to anything or anyone untill she finds it. Is unusual an story, is not current find stories of women who are wandering alone in the world, yet still with its aura of mystery the plot is resolved excessively easy in a rose-coloured way, is too rose. Performances are not high quality…the characters are very flat, they lack emotion, discussions are very normal, nothing that induces a reflection. Leaves much to be desired the role of Andy Garcia is too cliche, in the other hand, Camilla Belle confuses be reserved with be flat and expressionless, this error makes her role less attractive. An interesting aspect of the film is its photography: not only has a good composition and locations also makes a beautiful use of natural colors and spontaneous lighting, is not easy to preceive the use of filters. We cannot say the same of the soundtrack, a viewer is expecting to hear music that remembers or evokes the road, the typical American folk music not these so harrowing ballads that do not generate an atmosphere consistent with the situation but very appropriate to sing in the shower. Zerorojo does not rule out this movie because it has a good image and it worths to take a look! But the story there is not recommended, you can’t wait anything beyond a melodrama full of clichés! It’s pure drama. at your consideration!